BOOK A TRAINING SESSION TODAY! Ethan Fluhart is a dedicate personal trainer with over 20 years of experience in health and fitness. 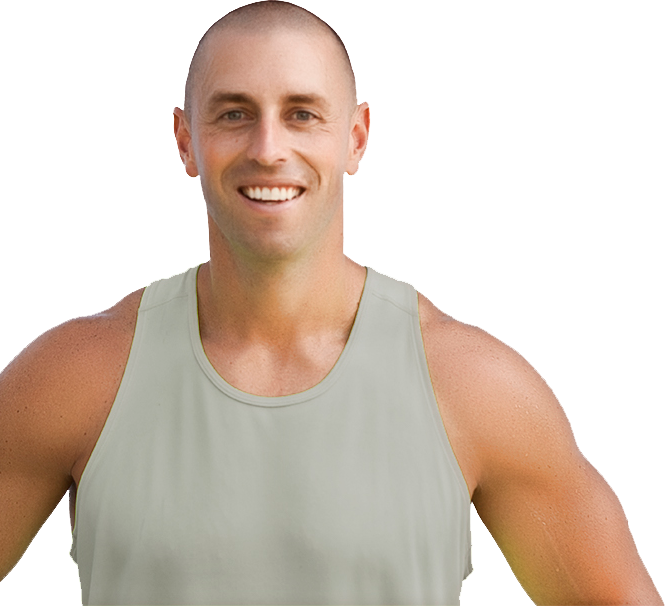 His positive approach towards exercise as a way of life is contagious, and it’s proven in the success of his clients. Ethan strongly believes that when you get your body on track with regular exercise, other aspects of your life will fall into place. Be it at work, home, in love, or spiritually, Ethan’s clients know the benefits of exercise don’t stop when they leave a session. As a serious athlete and proud winner of the 2012 Metro Dash Competition in Atlanta, Ethan is a trainer who knows how to break mental barriers and take his clients to the next level. Whether your goal is to gain strength, endurance or lose weight, Ethan will get you on a fitness program that will change your life. Changing poor health habits is hard to do. It’s common for people to avoid making time for fitness or feel unmotivated when they don’t see any improvement in their body. Deciding that you can do better for your body than what you’re doing now is the first step towards better health. Our trainers at E Fitness can help you plan a fitness schedule and pick a program that works for your lifestyle and your fitness goals. Show us your commitment, and we’ll help you achieve the rest. E Fitness Atlanta believe that serious motivation comes from a positive place. Our fitness programs are dynamic, fun and incorporate new elements that inspire our members to challenge their bodies in a different way each session. We combat gym boredom with our highly effective indoor and outdoor sessions that leave you feeling alert, uplifted and rejuvenated. E Fitness Atlanta inspires people of all fitness levels to reach their own level of optimum performance. We customize all of our group E Fitness workouts depending on your personal goals, and take into consideration an injury or help sculpting a particular area of your body. Our semi-personal training is designed to bring out your best efforts and produce maximum results so that you can achieve the body you want. Many people come to us because they are stuck in a routine that is simply not working. Our programs are designed to kickstart your metablism by using muscle confusion. By offering dynamic, ever changing sessions that incorporate new elements, your body will continue to respond to the workouts while keeping you constantly challenged and engaged. Our reputation for success continues to be built by word-of-mouth by our loyal members that have made a positive change in their bodies and their lives. Our belief in working out hard, eating clean, and celebrating the small successes along the way has transformed into more than just a fitness program. It’s a way of life. Whether you’re a fitness newbie or you need a new challenge in your workout, taking the first step towards change can be the hardest part. Let E Fitness Atlanta help you get there and join us for a FREE session to see how we work. All you need are some gym shoes and a desire to get fit. E. Fitness Atlanta was started out of passion and has grown to be what it is today largely through word-of-mouth by satisfied clients sharing their success story to friends, family and co-workers. We appreciate your continued business and support, and each time your refer a new client to us, you will receive a 25% discount off your next month’s dues. There’s no limit to how many people you can get to join, so keep them coming and enjoy the savings.